Create quick, easy and unique designs with the Gel Plate Texture Combs. 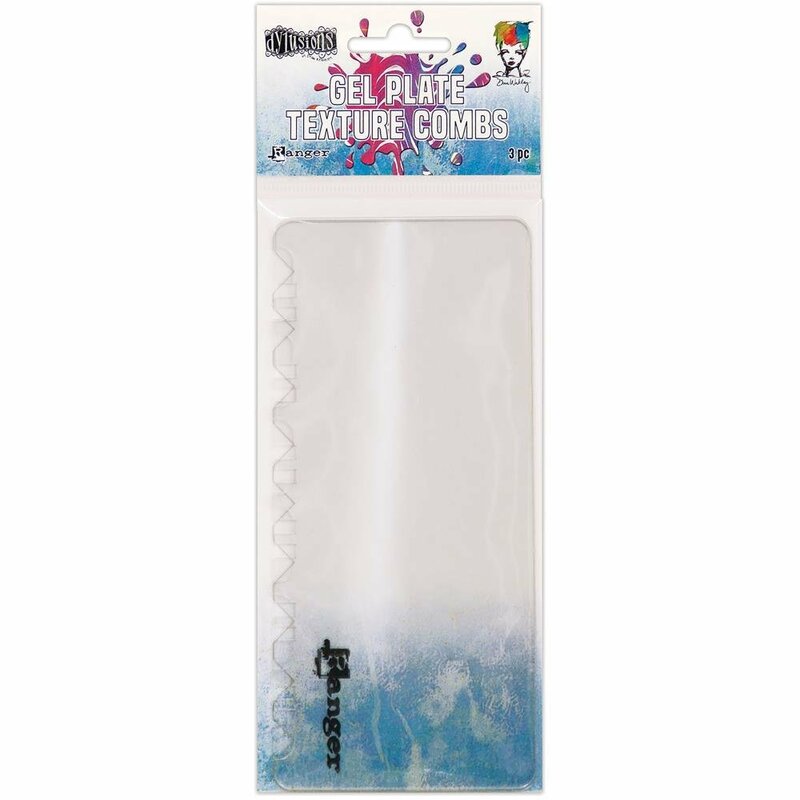 Made from durable and flexible plastic, the Texture Combs are perfect for running through paint and mediums on a gel plate. Package measures 3.13x8.25 inches and includes three Texture Combs in three designs. Each comb measures 2.75x6 inches.